Virginia does not yet have marriage equality), and many more birthdays and holidays over the past 10 years. So as you can see, Colonial Williamsburg plays an important part in our lives. When one visits the historic area, it is common for the employees to welcome you home, and so it is for us like coming home. We get excited every time we visit. I love to plan out the activities and see what new programs, walking tours and events we can see, but we also relax and totally immerse ourselves in 1607, 1776, and 1781 when we are experiencing the Historic Triangle. Kim and I believe in historic preservation and the “idea of America”, and that is what this area is all about. When Kim talks about her books at readings, she talks about her own personal history and her love of history. And through the years, we have shared this love. And so from that first card, which I still have, we have created our own history, which CW plays an integral part. Now I take photos of this beautiful area so I can share them with you. In fact, it is my favorite place to photograph. And I know the subject well after countless visits over 10 years. My images of Colonial Williamsburg are on view here under the gallery title Historic America. The photos in this blog are of the Capitol, DOG (Duke of Gloucester)Street-the main street running through the historic area, the surviving Jamestown church from 1639, and the last photo below, which I edited with an iPad app, is a fun shot of Revolutionary City, an interactive event that happens on the streets of Williamsburg almost every day. I hope one day you too can visit this wonderfully amazing slice of American history. It is an unforgettable experience. Kim and I were even treated to “A Touch of Spring” while there. As always, Enjoy! And thank you for supporting my work. 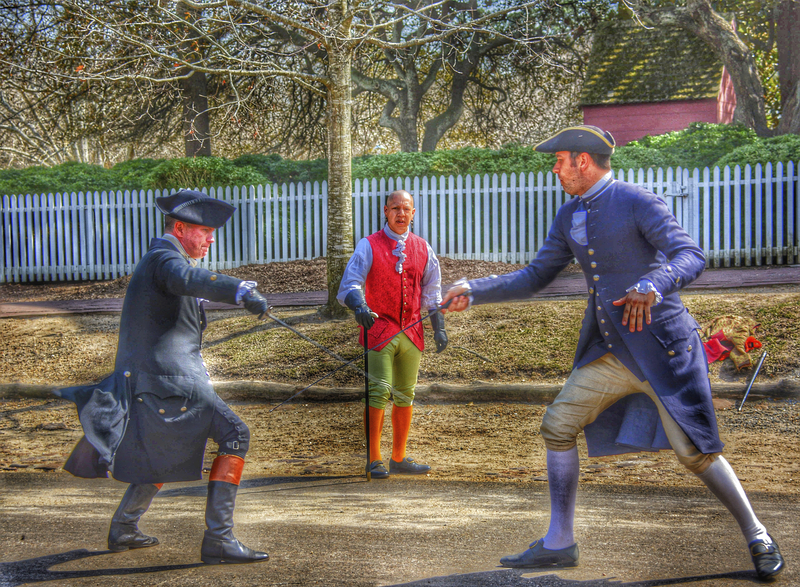 This entry was posted in Colonial Williamsburg, Kathi Isserman Photos, Photography and tagged Colonial Williamsburg, founding fathers, Historic Triangle, Jamestowne Virginia, Kathi Isserman, KI Thompson, National Parks, nature, Photograph, Revolutionary War, scenics, Travel and Tourism, Virginia. Bookmark the permalink. Thanks Dev for your support always! We miss seeing you. Our schedule, KI and mine, are not the same anymore. Thanks for checking out the blog! Your photos are beautiful! I haven’t been to CW since I was a young teenager, and would love to go back. What a wonderful tradition you and Kim have of making/expanding memories there! Thanks SA. I can’t believe it took me so long to get to CW. I hope you get back some day. It is presented so professionally and everyone there wants you to be a part of the experience. A sweet, sweet, blog Kathi. Happy for your anniversary celebration. Happy for the special love you two share. I most likely will never get to your area of the country so I live for your blogs and pictures. Thank you my friend (s). You have to try to make the trip. It is well worth it. If you ever do get this far, let us know! Thanks for always supporting my work!